The Duke WordPress service is scheduled for regular weekly maintenance from 6 a.m. to 9 a.m. Saturdays. During that time, the service may be unavailable for some users. Users will be notified of additional maintenance windows. We make changes to Sites@Duke on a rolling basis. 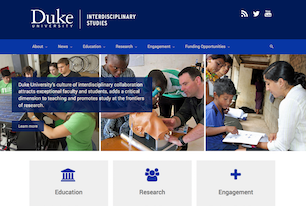 Submit your Sites@Duke feature requests through our Feature Request Form, and we will consider your feedback for the next maintenance window. 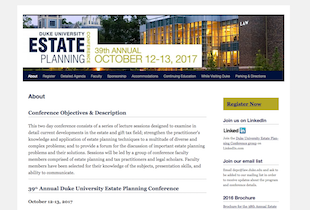 Any Duke student, faculty or staff member with a NetID can use Duke WordPress to create websites using the popular web-publishing platform. Read more about the service. What can you build on Duke WordPress? 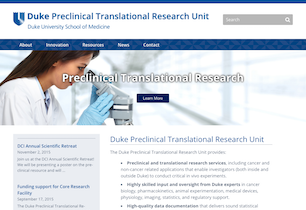 View a list of all public Duke WordPress sites.